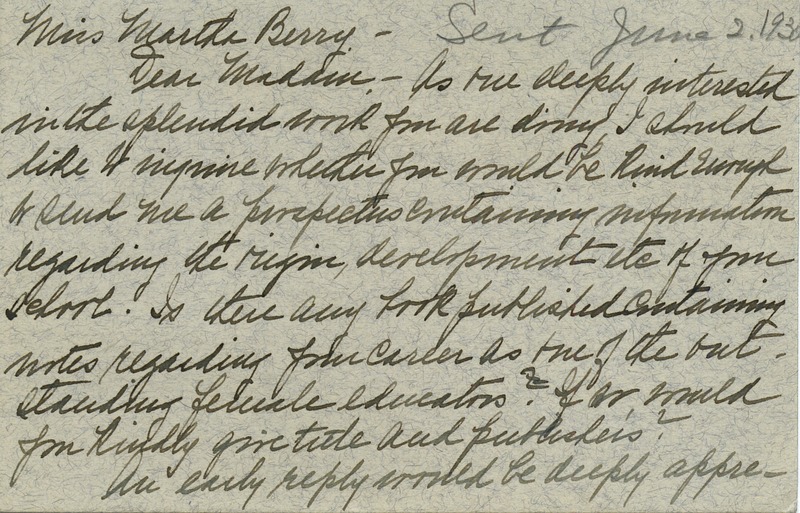 Mrs. Meyer expresses interest in Berry and the work that Martha Berry is doing and requests information regarding Berry's career as an outstanding female educator. 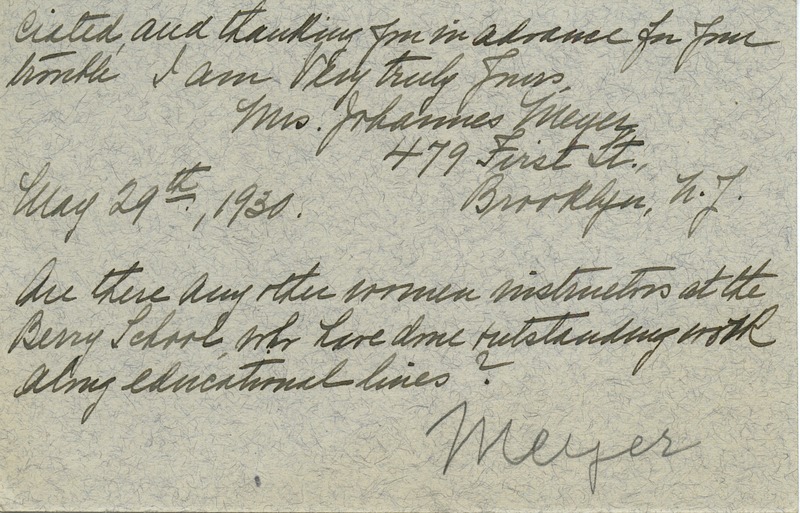 Mrs. Johannes Meyer, “Letter from Mrs. Johannes Meyer to Martha Berry.” Martha Berry Digital Archive. Eds. Schlitz, Stephanie A., Christy Snider, Angela McCavera, Meg Ratliff, et al. Mount Berry: Berry College, 2013. accessed April 19, 2019, https://mbda.berry.edu/items/show/13406.